Why is the US taking action? Which products are being targeted? The preliminary list drawn up by the USTR covers a wide range of items. Unsurprisingly, aircraft and helicopters are on the list, as well as plane parts from France, Spain, Germany and the UK. It includes “new aircraft, passenger transports, non-military, of an unladen weight exceeding 15,000 kg”. 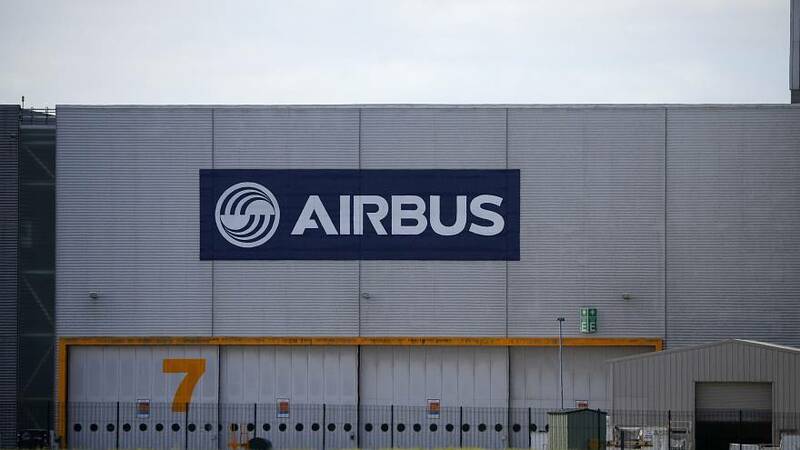 Although it doesn’t say so specifically, it’s clear that one large European manufacturer in particular – Airbus – is being targeted. Other items include fish, ranging from swordfish to crabmeat; cheese and wine; textiles; ceramics; bed linen; tools; lamps; motorbikes, bicycles and more. The list ends with artists’ brushes. Some of the categories may appear puzzling: for instance, oysters are targeted if they are “prepared or preserved, but not smoked”. Telescopic sights for rifles are included, but not those “designed for use with infrared light”. “Earthenware ornamental articles” are on the list, if they have “a reddish-coloured body and a lustrous glaze of differing colours”. The USTR says it will announce a final product list once the WTO arbirtration ruling is announced. What’s the background to this dispute? The long-running transatlantic trade wrangle over Airbus and Boeing stretches back nearly 15 years. Claim and counter-claim over alleged illegal aid given to the plane giants have been brought to the WTO, and both sides have been found to have broken the rules. In 2011, the WTO found that the EU provided Airbus $18 billion (€16 billion) in subsidised financing from 1968 to 2006, the USTR says. Washington says the EU has left most subsidies unchanged and has even given Airbus additional aid, despite the WTO rulings. What effect will it have on US-EU trade relations? The Trump administration’s move threatens to raise tensions over trade between the two sides of the Atlantic. It comes on top of US tariffs imposed on European aluminium and steel imports. The US president has also threatened to slam duties on European car imports, citing national security reasons. The tariffs over plane subsidies would be imposed under the same laws used to justify duties slammed on Chinese imports last year, the USTR said. “Our ultimate goal is to reach an agreement with the EU to end all WTO-inconsistent subsidies to large civil aircraft. When the EU ends these harmful subsidies, the additional US duties imposed in response can be lifted,” US Trade Representative Robert Lighthizer said. The Trump administration’s trade disputes extend beyond Europe. Its other targets include China, Canada and Mexico, bringing fears of a global trade war.